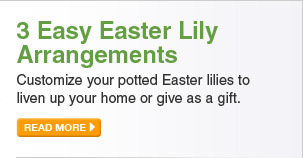 Are on the edge of your seat, looking for a sign of spring? Well, we can help you out. 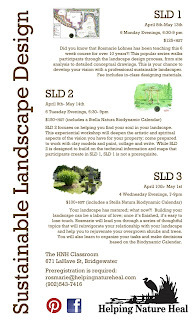 Helping Nature Heal Inc. is offering a spring session of Sustainable Landscape Design. These courses will help you to understand what it means to adopt an ecosystem approach, learn to analyze your site, and develop a meaningful, productive connection with your landscape. 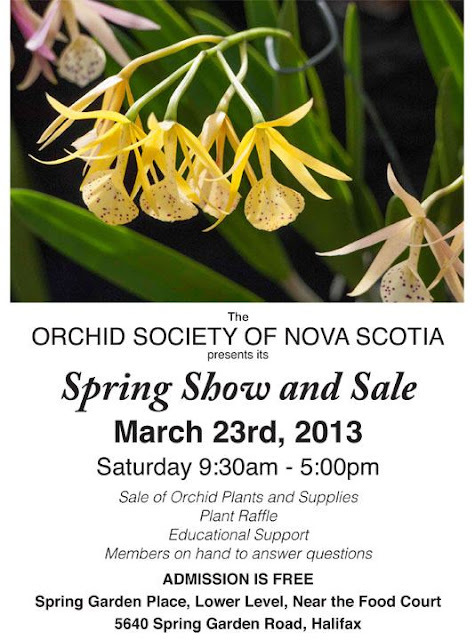 For more information or to pre-register, contact Rosmarie at (902)543-7416 or rosmarie@helpingnatureheal.com. Also, be sure to connect with us on facebook and/or pinterest. 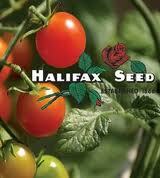 We've also got some great content on our blog that is sure to fertilize your brain garden! Did you know that Rosmarie Lohnes has been teaching this popular 6 week course for over 10 years?! This interactive series walks participants through the landscape design process, from site analysis to detailed conceptual drawings. This is your chance to develop your vision for your property with a professional sustainable landscaper. Course fee includes in-class designing materials. SLD 2 focuses on helping you find the soul in your landscape. This experiential workshop will deepen the artistic and spiritual aspects of the vision you have for your property; come prepared to work with clay models and paint, collage and write. Although SLD 2 is designed to build on the technical information and maps that participants create in SLD 1, SLD 1 is not a prerequisite. Your landscape has matured: what now?! Building your landscape can be a labour of love; once it’s finished, it’s easy to lose touch. 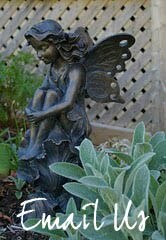 Rosmarie will lead you through a series of thoughtful topics that will reinvigorate your relationship with your landscape and help you to rejuvenate your overgrown shrubs and trees. You will also learn to organize your tasks and make decisions based on the Biodynamic Calendar. Our very own, Ed Glanville!! We also need your help, please!!! Have heard that this is a fabulous show! 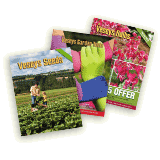 Veseys famous vegetable, herb and flower varieties are now available as pre-started, ready-to-transplant Starter Plants! We have perfected our packaging and shipment of these pre-grown plants and are certain that you will find that they make gardening so easy! 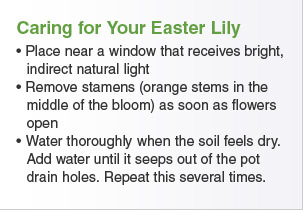 Orders for these Starter Plants must be received no later than April 5th. These plants will be shipped around the beginning of May in specially designed packaging so they arrive ready to be transplanted into your favourite window box or container and grown inside until after your last frost date. You can choose from our favourite Tomato, Pepper or Herb varieties, as well as a stunning line of annual flowers that are specially selected to help you design beautiful containers that will perform all season long. Ground Cherries are very sweet and taste a bit like pineapples. They can be used in preserves, pies or over ice cream, but here at Veseys we love to eat them raw! New this year - Eggplant transplants! 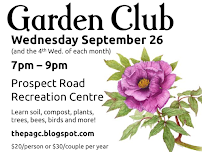 Lillooet, Growing Potatoes in Containers and Gardening Shows Galore! Note the article by Niki Jabbour! 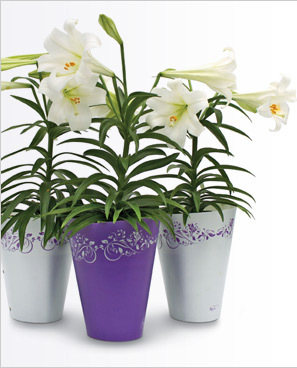 Having read the Vol 27 No 02 March 2013 issue of Gardens West, I am interested on more info about the "Tipsy Pots" that Salli Rice wrote about in Talkback. 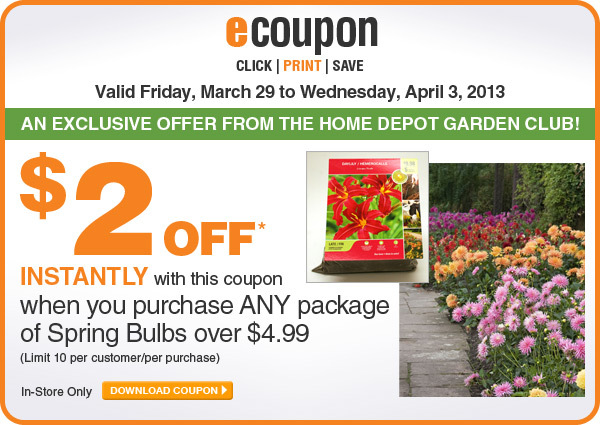 Vesey's Spring Bulb Offer expires in 1 week!